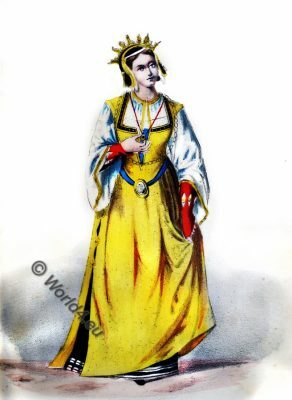 13th century young duchess costume. Middle ages. Select historical costumes. Gothic, medieval fashion history. The outer robe is of golden brocade.